Does Don Perata Really 'Believe in Oakland' — Or In San Jose? 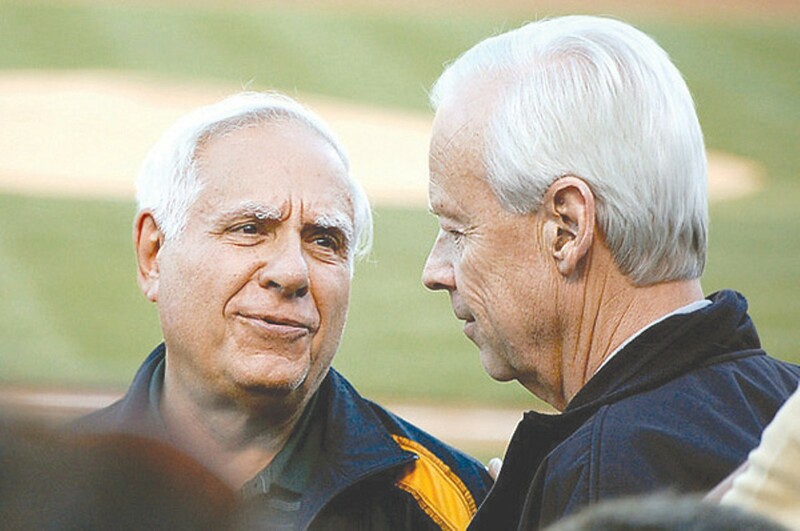 Oakland A's owners Lew Wolff and John Fisher, who want to move their team to San Jose, donates $25,000 to a Perata group after the ex-senator says Oakland can't retain the team. Oakland A's owners Lew Wolff and John Fisher, who desparately want to move their team to San Jose, are trying to influence the outcome of the Oakland mayor's race, pumping $25,000 into a committee that is backing Don Perata. The move is unusual because Oakland sports team owners don't typically attempt to sway city elections and because Wolff is known for being frugal with his money. The large donations also came after recent statements by Perata that retaining the A's for Oakland will not be a priority if he becomes mayor. At a debate last month sponsored by the Oakland Metropolitan Chamber of Commerce, Perata answered "no" when asked whether he would consider spending any taxpayer funds on helping keep the A's in Oakland. By contrast, two of his main competitors, Rebecca Kaplan and Jean Quan said they would try to keep the A's from leaving with the use of city redevelopment funds — which typically cannot be used for basic services, such a police, fire, libraries, and parks and recreation. Quan favors a new ballpark for the A's in Jack London Square, at the so-called Victory Court site along the Lake Merritt Channel. Kaplan supports a new ballpark on the existing Oakland-Alameda County Coliseum property surrounded by a shopping and entertainment district. It's becoming more common for cities to use redevelopment funds to help sports teams build new stadiums. San Jose plans to use such funds to acquire land for a new A's ballpark and build needed infrastructure. And San Francisco limited its use of public money to redevelopment funds in helping the SF Giants build AT&T Park. Quan, Kaplan, Oakland Mayor Ron Dellums, and Council President Jane Brunner have ruled out using general fund money for the A's, but support using redevelopment funds to acquire land and build infrastructure for a new stadium. Indeed, it likely would be impossible to keep the A's from moving without spending redevelopment dollars. In addition, at a recent editorial board meeting with the Oakland Tribune, Perata appeared uninterested in talking about keeping the A's in town, according to several attendees. "He was very evasive," said Kaplan, who was at the meeting with Quan, Perata, and fellow mayoral candidate Joe Tuman. "He basically conveyed that keeping the A's is not very important." After the editorial board meeting, one of the attendees, longtime Tribune columnist Dave Newhouse, published a report on October 6 about the mayoral candidates and their thoughts on the A's and the Golden State Warriors. Newhouse quoted Perata as being resigned to the fact that the A's are leaving. "I don't think the A's are going to stay here," Perata said. "We can't play in this game, putting up the money. We haven't been smart with our franchises." In an interview, Wolff said Perata's stance on the A's had nothing to do with his $10,000 donation. He said he's supporting the ex-senator because he thinks he's the best candidate. Fisher donated $15,000 to the Perata group. "I've known him for years and I respect him," Wolff said of Perata. Wolff also said he hasn't been paying attention to what Perata has been saying on the campaign trail. But an attempt by an Oakland sports team to affect the outcome of a mayor's race may be unprecedented. "I've been in Oakland since 1964, and I've never heard of anything like this," Newhouse said in an interview after being told of what Wolff had done. Newhouse also said that Perata's disinterest in keeping the A's in Oakland "makes more sense" in light of Wolff's attempt to get the ex-senator elected. It also seems unlikely that Wolff and Fisher would support a candidate who would try to stop their plans. Wolff, in particular, has been adamant that the team can't survive in Oakland and that he's determined to move the ballclub to San Jose. He expressed deep frustration earlier this year when Dellums, Brunner, and a local booster group led by Planning Commissioner Doug Boxer submitted a plan for a new A's ballpark in Jack London Square. Wolff views the proposal as an unnecessary roadblock to his planned move to the South Bay and is angry that a Major League Baseball blue-ribbon panel has been studying Oakland's idea. Newly filed campaign finance reports show that Wolff donated $10,000 on October 12 to a group with close ties to Perata called Coalition for a Safer California, while Fisher donated $15,000 to the group on October 11. Both contributions came after the chamber debate and Newhouse's column was published. The Perata group has reported spending at least $141,000 trying to get him elected mayor of Oakland. The group is run by Perata's longtime friend, Paul Kinney, and is financed primarily by the ex-senator's employer, the California Correctional Peace Officers Association. The group also has sent out three hit-piece mailers that were full of falsehoods, attacking Quan and Kaplan — the two mayoral candidates who most strongly favor keeping the A's in Oakland. Earlier this year, Wolff also donated $500 to another Perata committee, Hope 2010. The committee is supposed to back a 2012 statewide ballot measure that would tax cigarettes to fund cancer research, but there is evidence that Perata has been using the committee to assist his mayoral candidacy — an apparent violation of state and local election laws. Campaigns attempting to elect Perata have spent a record $965,000, according to campaign finance reports show filed late last week. Perata's own mayoral campaign spent at least $669,000 through October 16, and two other committees backing his candidacy spent at least $296,000 trying to put him in the mayor's office. The totals easily shatter previous Oakland mayoral campaign spending records. In addition to Coalition for a Safer California, the other committee spending large sums on Perata's behalf is Oakland Jobs PAC, an Oakland-based group that also has links to the ex-senator. Oakland Jobs PAC reported spending $155,000 so far. Both groups eclipsed Oakland's $95,000 threshold for spending by independent committees. And Perata has nearly doubled the city's spending cap of $379,000. Perata found a loophole in Oakland law that allows him to exceed the cap once other groups have done so — even if they're spending money on his behalf. The city's cap rule was designed to help candidates who are attacked by outside groups who spend lots of money — but the loophole also allows candidates like Perata to benefit from groups overspending in support of him. The Perata totals also dwarf those of his three major competitors in the race. Quan reported spending a total of $275,000, while Kaplan has spent $157,000. College professor/news analyst Tuman has raised a total of $74,000 so far. One group, Oakland Rising Committee, reported spending a total of $5,404 on behalf of Quan and Kaplan — $2,752 each. No committees reported spending on behalf of Tuman's campaign other than his own. Coalition for a Safer California also has been working to defeat San Francisco's public-employee pension reform measure, Proposition B. That measure is fiercely opposed by public-employee unions throughout the state. Oakland Jobs PAC is headed by another friend of Perata, Gregory McConnell, and is financed by several of the ex-senator's longtime contributors. The group also spent $50,000 backing the 2008 city council bid of Perata's former chief of staff, Kerry Hamill, who lost to Kaplan. 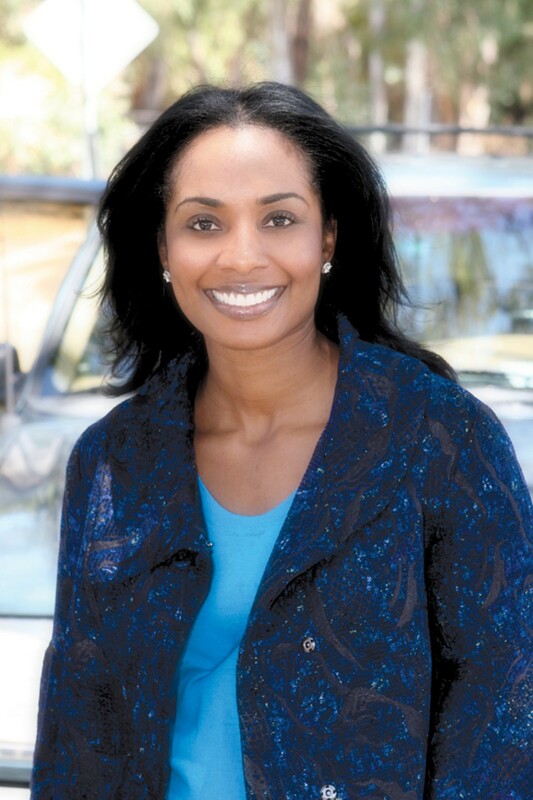 As of late last week, Marcie Hodge, a fringe candidate for mayor of Oakland, had yet to file a campaign finance report as required by law even though she has spent significant sums on billboards, mailers, radio spots, and TV ads. Several black leaders in Oakland believe that Perata supporters are bankrolling her campaign in an effort to siphon votes from Kaplan and Quan (see "The Baffling Mayoral Candidacy of Marcie Hodge," 9/29/10). Hodge has denied getting help from the ex-senator and said she loaned herself a large donation, but it's unclear where she got the money, because she reported having no job, no income, and no investments on her official financial disclosures in August. Records show that Hodge also has a history of not filing campaign finance reports disclosing her donors until several months after the election is over — a blatant violation of state and local law. The best way to make sure that one of these three candidates wins is to vote for all three in some combination. Read this if you're still thinking about making the ex-senator one of your three choices for Oakland mayor. Former state senator Don Perata helped her run for Oakland City Council in 2006. Is her run for mayor in 2010 designed to return the favor? Why Did Labor Oppose Transparency? California’s unions angered Democrats and good-government activists by killing legislation that would have required more disclosure in political campaigns. Organized labor in California has decided to oppose legislation that would require political groups to prominently disclose their donors.